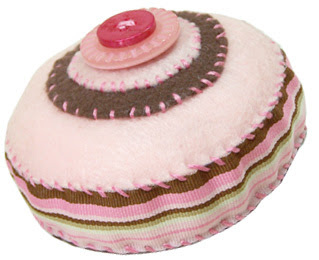 Beverly's Official Blog | News and findings from world of crafts, scrapbooking and more: Weekend Project - Pincushion! Where's yours? A pincushion makes a great gift, and to make it yourself makes it super special! Plus you could win a $25 Beverly's gift card (see yesterday's post for details), and check out the comments to see the cute pincushions people are coming up with. Win a Beverly's $25 Gift Card!